My second trip to Bo’ness for this year’s Hippodrome Festival of Silent Cinema allowed me to spend the whole day there, seeing shows from 10.30am until 7.30 pm — Keaton, Bowers, Chase, Von Bolvary, Murnau, Ozu. In the company of delightful people such as Pamela Hutchinson of Silent London, ace accompanist Neil Brand, writer and Edinburgh Film Fest director Chris Fujiwara. With a weird tartan theme going on. I’m no expert on tartan. I think my own family pattern is the Clan MacCavebear. What was peculiar was that from the Charley Bowers film on, every movie had a strong tartan presence. 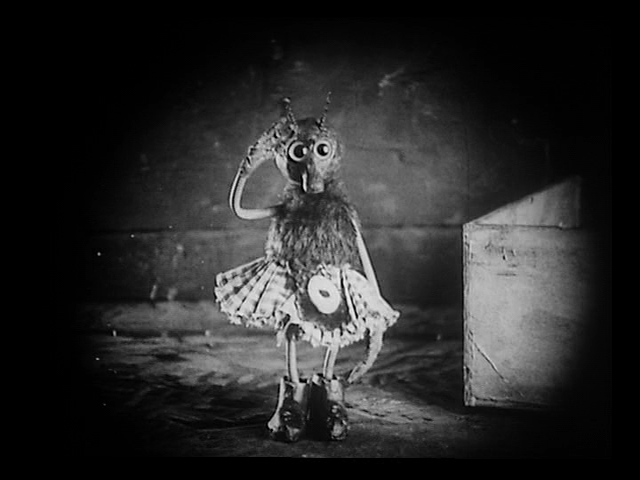 THERE IT IS (1928) features cinema surrealist Bowers as Charley MacNeesha of Scotland Yard (visualised as a pen full of kilted men, milling about aimlessly), who investigates crimes too baffling and stupid for the ordinary police, assisted by his kilted flee, MacGregor. Pamela pointed out that Bowers kilt, an obscenely short plaid pelmet, grows mysteriously longer in the final scene where he’s wed Keaton co-star Kathryn McGuire. What is the hidden significance of this? In LIMOUSINE LOVE (1928), Charley Chase, on his way to his wedding, gets saddled with a naked lady (quite a good role for Viola Richard, since she has to be filmed in close-up throughout). The tartan this time is worn by Josephine the monkey (who also co-starred with Harold Lloyd in THE KID BROTHER and Buster Keaton in THE CAMERAMAN). She crops up quite gratuitously here, wearing an adorable little monkey kilt. Inexplicable. German cabaret star Ilse Bois in DER GEISTERZUG/THE GHOST TRAIN/LE TRAIN FANTOME (1927, an Anglo-German co-production screened via a French print) plays a temperance campaigner all in plaid, which is stretching a point but her name is Miss Bourne — and in the Hungarian version of 1933 it’s “Miss Burns,” which does sound Scottish. Given her surliness, I suspect she’s meant to have Celtic qualities. Handsome Joji Oka’s is a particularly fine example. When I got home, I had to re-check Buster Keaton’s THE BLACKSMITH, as I hadn’t been watching out for tartans in that one. There’s a fair bit of plaid on display. And also an acrobatic lady who MAY be a young Charlotte Greenwood. I’m no forensic identification expert, but how many comediennes could do the splits back then? Perhaps somebody else with a DVD and a keen eye could look into this for me? 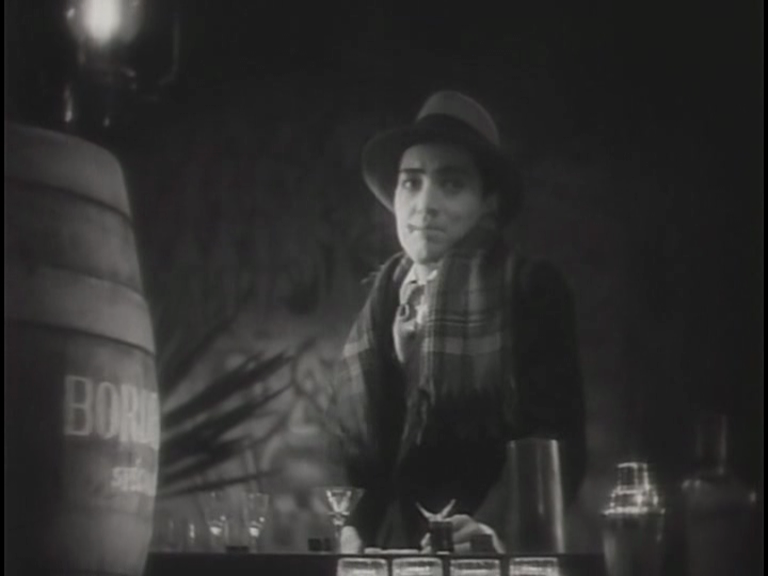 This entry was posted on March 16, 2014 at 12:47 pm and is filed under FILM with tags Bo'ness, Buster Keaton, Charley Bowers, Charley Chase, Dragnet Girl, Hippodrome Festival of Silent Film, Ilse Bois, Joji Oka, Josephine the monkey, Limousine Love, Murnau, Ozu, The Blacksmith, The Ghost Train, The Last Laugh, There It Is, Viola Richard. You can follow any responses to this entry through the RSS 2.0 feed. You can leave a response, or trackback from your own site. Have never heard that it’s Charlotte Greenwood in The Blacksmith, but just took a look at the DVD and think it’s possible but unlikely. Buster was 5′ 5” and Charlotte around 5′ 9” but there’s no much difference in height between him and the acrobatic lady. Tried to get a screen grab to demonstrate this, but it didn’t work. You’re probably right. CG was in movies before and after this. There’s no strong facial resemblance, but nothing to conclusively disprove it there, But the height seems a clincher. That movie has terribly sparse credits — just Buster, Virginia Fox and Big Joe. It would be nice to know who the others are. Somebody has a print of “Limousine Love”? The impression I get from websites here is that only pieces survive as part of a Robert Youngson compilation feature; that’s why it’s yet to appear on any of the otherwise thorough Charley Chase DVD compilations. Stan Laurel famously sports tartan (sometimes commando) in “Putting Pants on Phillip”; before teaming with Hardy he did a Scottish burlesque titled “Short Kilts” (gags about Scotsmen fasting all day if they had a dinner invitation). Later the boys wore kilted uniforms in “Bonnie Scotland.” There’s also a photo of them wearing kilts with their regular coats and ties on one of their late live tours. Greer Garson of all people does a music hall number in a short kilt in “Random Harvest”. The film was, apparently, the very devil to track down, but it exists and is complete! It’s a very good one — Neil Brand rates it as the best of all Chase films, though I wouldn’t go quite that far. Top ten, for sure, though. Brilliantly sustained, developed and resolved farce.